Tax the rich more. It's a popular idea on the 2016 campaign trail, but a new study says that won't do much to dent inequality in America. 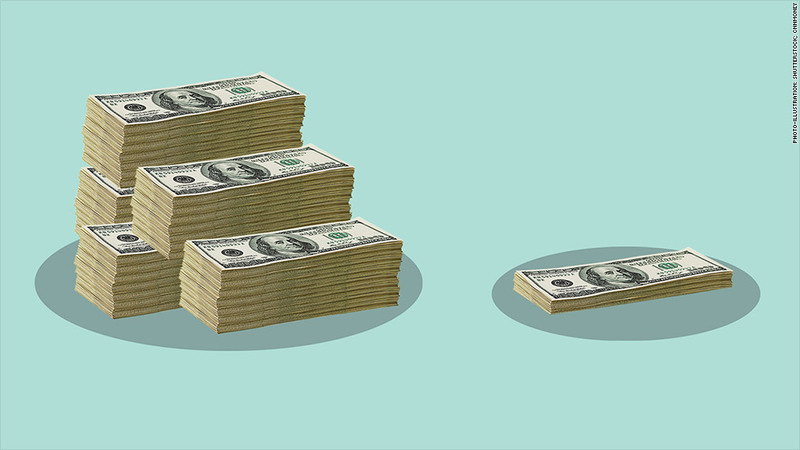 Experts at the Brookings Institute examined what would happen to the gap between the wealthy and the poor if the U.S. raised the income tax rate on the highest earners to 50%. (It's currently 39.6%). They found it would have a "trivial effect" on overall income inequality. The U.S. and Israel have the worst inequality in the developed world. "That such a sizable increase in the top income tax rate leads to a strikingly limited reduction in overall income inequality speaks to the limitations of this particular approach to addressing the broader challenge," wrote economists William Gale, Melissa Kearney and Peter Orszag. Orszag served as President Obama's budget director early in his first term and is now an executive at Citigroup. The researchers also looked at what would happen if all the extra money raised from the tax hike on the rich were given to America's poorest. Lower-income families would receive about $2,650 a year, they found. That kind of redistribution would lessen inequality a little bit more, but the country would still remain far more unequal than it was in the 1970s. A big part of the problem is that the richest Americans have already accumulated so much wealth. Their annual incomes -- which would be subject to the higher taxes -- are a small part of their overall empires. The Brookings researchers are clear that increasing taxes on the wealthiest could still be a good idea. It can be useful to help pay for government programs or aid the poor, but it's important to realize that it wouldn't do much to curb inequality. Many of America's uber rich, including billionaires Warren Buffett and Jamie Dimon, have said they would be willing to pay more in tax. Buffett has repeatedly pointed out that his overall tax rate is lower than his secretary's. In the past, America's top income tax rate has been as high as 91%. It was 50% as recently as the mid-1980s. The current top rate is the same as it was during President Bill Clinton's time in office. Bernie Sanders has proposed a "billionaire surtax" of 10% that he says would only impact the nation's 530 billionaires. He also wants to increase the inheritance tax -- what people pay when they transfer land or money to their kids -- from 40% to a top rate of 55%. Donald Trump, Jeb Bush and Hillary Clinton have all proposed eliminating the "carried interest loophole" that allows many hedge fund managers to tax their investment income at a lower tax rate (20% versus 39.6%). Clinton has yet to release a full tax plan, but she does want to increase the capital gains tax that investors pay when they sell a profitable investment. Thomas Piketty -- the author of the 2014 book "Capital in the 21st Century" that reignited a conversation about income inequality in America -- is a big proponent of increasing the inheritance tax. He thinks much of the wealth is still being passed from one generation to the next.